Dark Depths is stunning really! 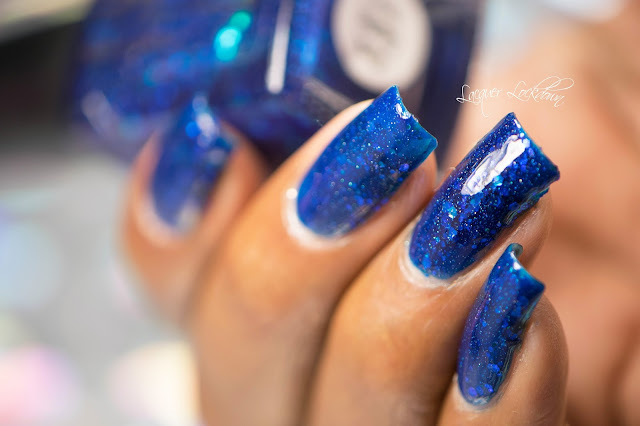 As you shift your nails around you can see all the glitter sinking and swimming inside the blue jelly. 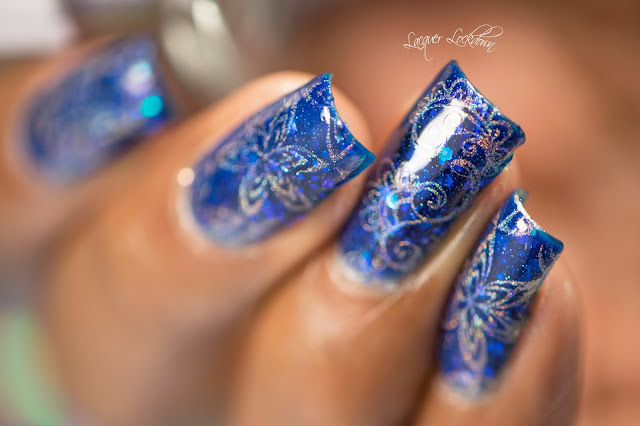 It's also has these tiny little sparkles throughout that make it extra special. I wish there were a few more of them in fact, but I really love this polish. 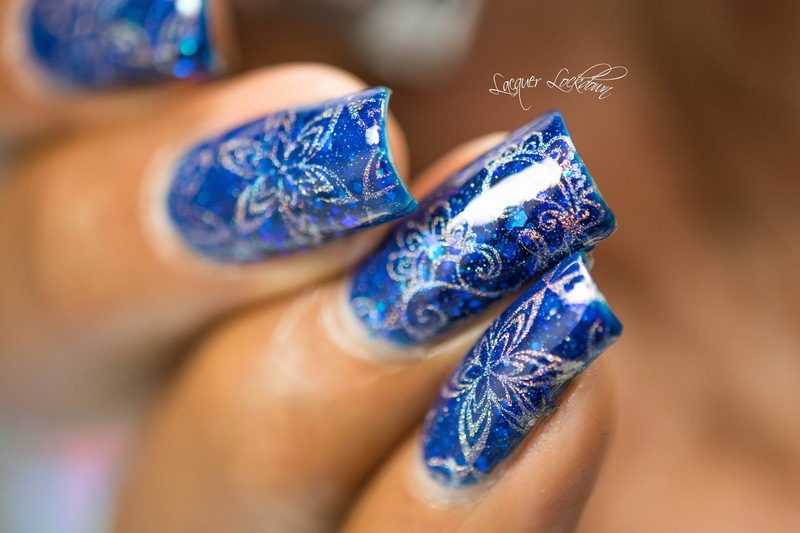 The holographic stamping polish is the first of its kind featured on my blog. 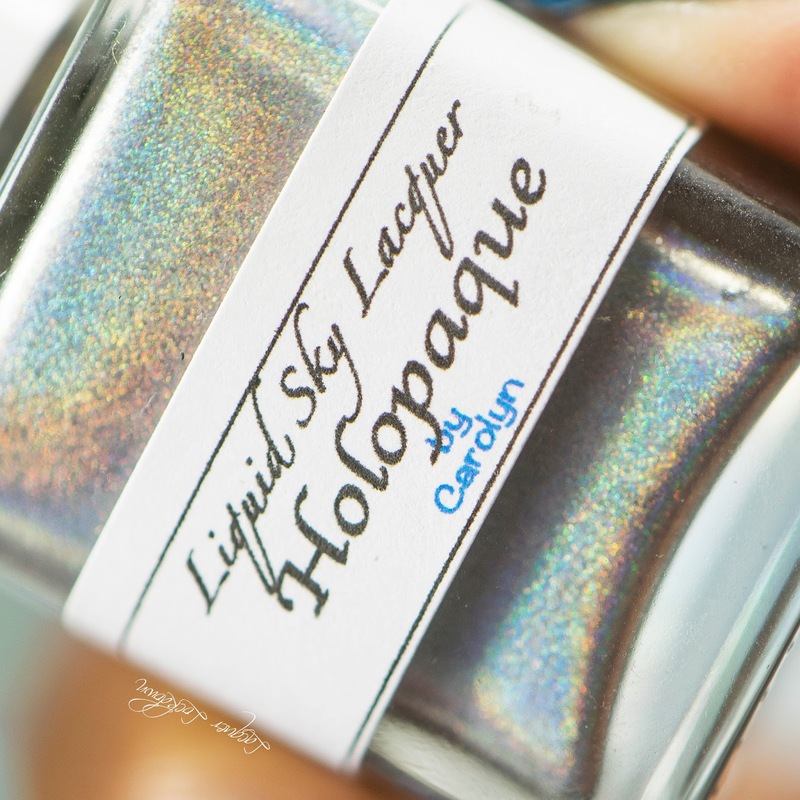 You'll find a review upcoming for the Liquid Sky Lacquer holo stamping polishes, but overall they are in fact much more opaque than regular holographic polish that you would use to stamp. Despite how sheer and delicate it looks as it scrapes it comes off very bold on the nail particularly in direct sunlight and under things like the kitchen lights. I also broke out the Jumbo XXL 6 Marianne's Nails plate. I mean I just had it out and there were so many tempting designs I just ended up reaching for it automatically. If you haven't seen the review I did for this huge plate check it out here. So pretty I love how in this shot I was able to capture the glitter poking thorugh and the holo floating all around it! 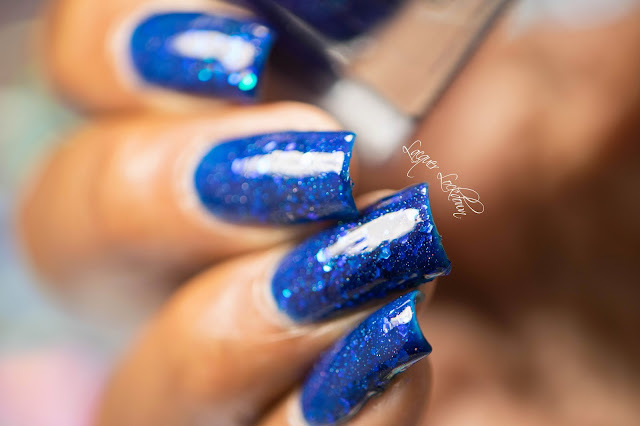 I should have really worn this so much sooner because seriously this is such a pretty polish! I was able to capture a bit more of that shimmer I was talking about earlier. 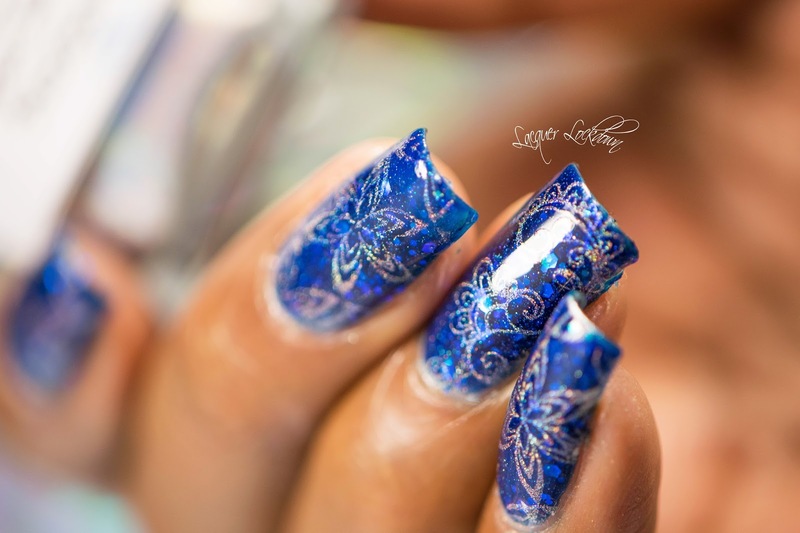 When I rock my nails in the video you can see it beautifully. This post contains items both purchased by me and those sent for my honest review. For more information see my Disclosures Policy.